This topic contains 5 replies, has 3 voices, and was last updated by lauri mayfair 4 months, 1 week ago. You asked for it, you got it! Get festive this Saturday, December 15th, out in the famous Rader Records parking lot on King Street, Hathian, with six of the biggest talents of the year, live on stage! Show starts at 5:30 PM (SLT). 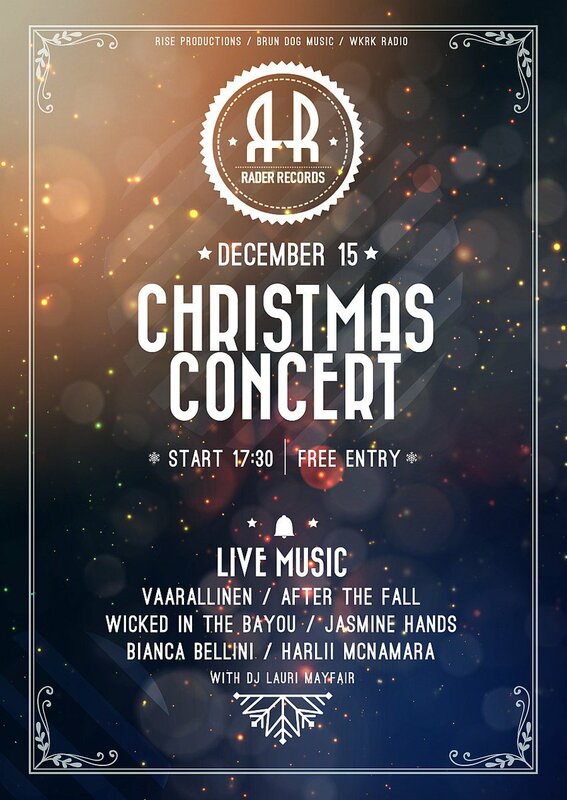 This festive concert of live music features Vaarallinen, After The Fall, Wicked In The Bayou, Jasmine Hands, Bianca Bellini and Harlii McNamara, plus DJ Lauri Mayfair! Security Staff: Are you an experienced bouncer? Rader Records is hiring security staff to look after the guest artists for the event. Electricians, Riggers, Engineers: Used to scene shifting? Able to lift a flight case or speaker cabinet with ease? Are you a certified electrician that could help out with the lighting rig? Do you have experience as a sound engineer? Rader Records could use your help! Folks interested in lending a hand can PM me or reply below. Otherwise, see you at the party!